Rajshahi Kings Player List Announced By the BPL 2018-2019 Officially. In the Gorgeous ceremony, BCB president Nazmul Hasan and other officials Finished the players’ draft of the BPL T20 at Radisson Blu Water Garden Hotel in Bangladesh Capital. So 6th edition of Bangladesh Premier League (BPL) Live Cricket Lover can Check RK Player list on Bangladesh Cricket Board Official Website. Also, have Rajshahi Kings all Player 2018 in livestreamingfreeonline.com website. Let’s See below for BPL Auction Squad live Details. before Checking RK Full Squads, you Should Know About Rajshahi Kings. The BPL Participate Teams is a privately owned T20 cricket franchise that plays in the Bangladesh Premier League (BPL). The rights are only owned by Mango Entertainment Limited. The Kings joined the BP league as a member in 2013. 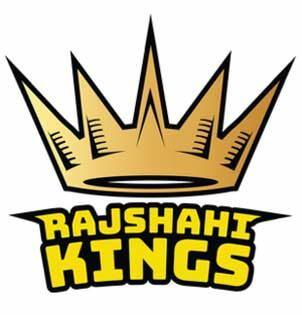 Team Name: Rajshahi Kings: (RK). Icon players of the RK teams: Mustafizur Rahman. Mustafizur Rahman, Zakir Hasan, Qais Ahmed, Christiaan Jonker, Mominul Haque, Mehedi Hasan Miraz, Mohammad Sami, Kamrul Rabbi, Isuru Udana, Laurie Evans, Arafat Sunny, Seekkuge Prasanna, Ryan ten Doeschate, Alauddin Babu, Marshall Ayub, Soumya Sarkar, Fazle Rabbi.